will be screened among four other shortlisters on 11th February. 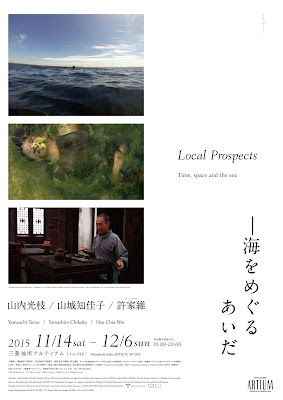 Screening of five shortlisted films on 11th February, 2019. 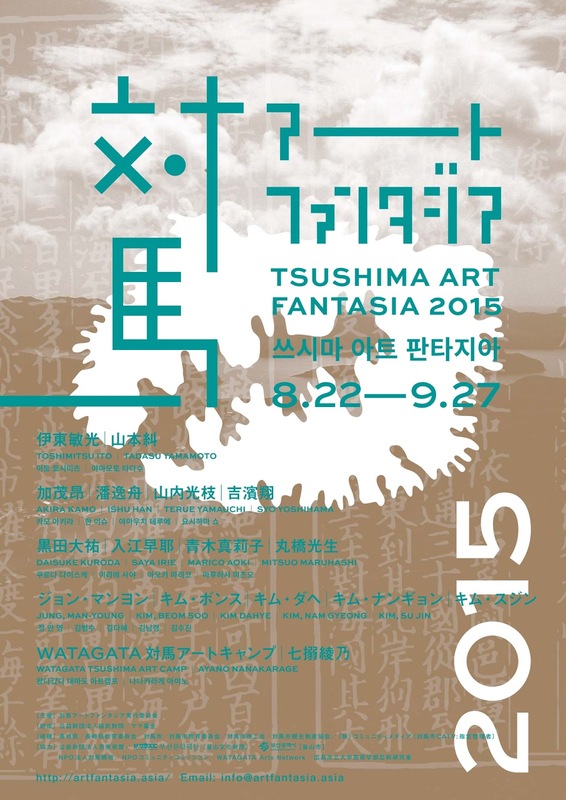 “Sea of Time Beyond" as part of Tsushima Art Fantasia 2018 being held in several venues in Tsushima island. The video work “Sea of Time Beyond” is the latest phase of my ongoing project relating to Ama divers in Magari village of Tsushima island and their ancestral root in the village of Kanezaki in Munakata city, Fukuoka. 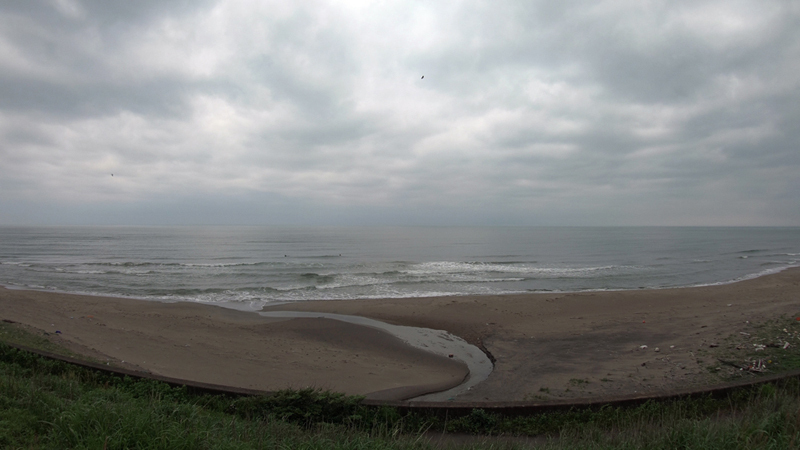 An 82 year-old practicing Ama diver of Magari and I crossed the strait to realize her dream of visiting Kanezaki before she retires from the fishery, and return to her ancestral sea beyond time. 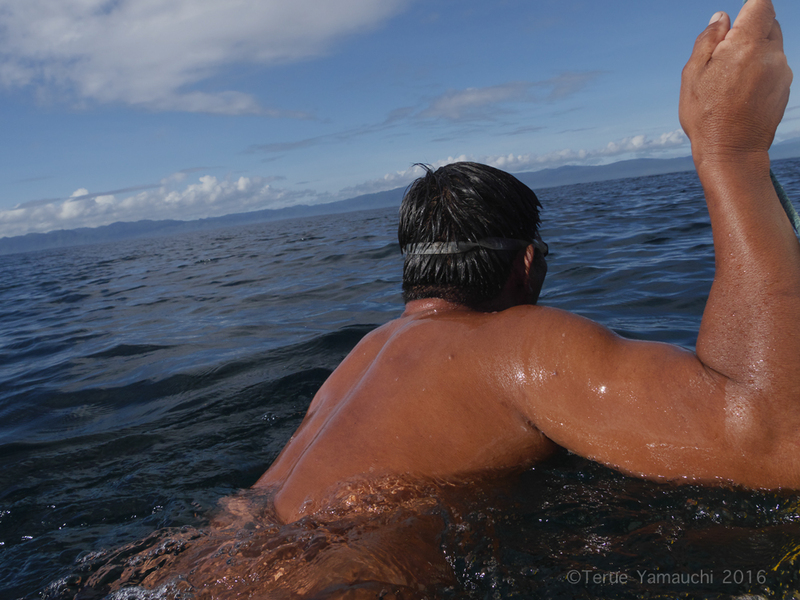 Our ambitious journey was warmly made possible by generosity of Ama divers in Kanezaki. 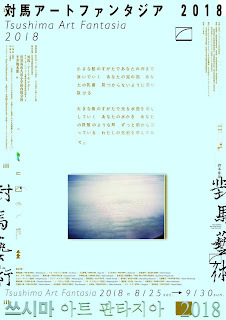 I am pleased to present the work in Nai-in where is said to be the first place ancient Kanezaki people arrived in Tsushima before settling in Magari. 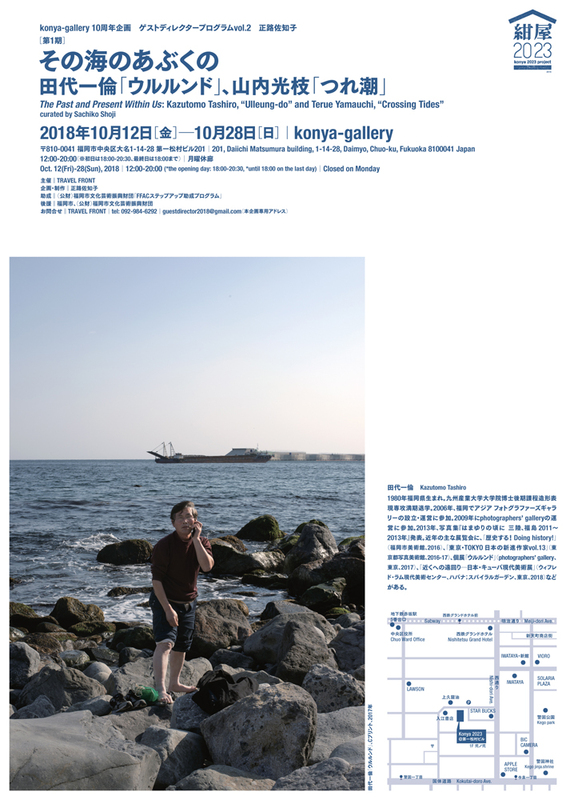 A 60-min long video work based on several research and shooting trip mainly took place in Maze, the western-most fishing village in Niigata city facing the sea, as well as in the Korean island of Ulleungdo floating in the middle of the same sea. The work was never possible if all the warm-hearted individual persons I was gifted to encounter by almost completely by chance, weren't there to accept this total stranger. 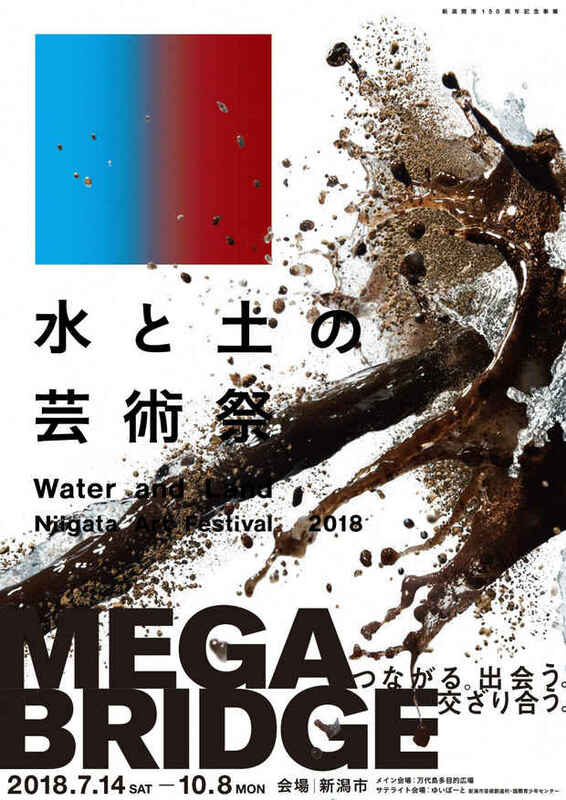 An installation piece inspired by the great natural force of water and sand circulation I felt while staying in Niigata city which I believe is the foundation and source of climate and culture in this region. The title "Mitsuchi" and "Mizuchi" refer to the ancient way of calling a giant serpent which is often regarded as a sacret being and strongly related to the deity of the sea. 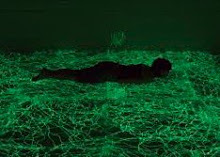 The work is installed in a tatami tea room consisting of a 40-meter long sandbang covering the entire floor space in spiral form and a brush drawing covering the entire ceilling. You are encouraged to enter the room on your knees and freely sit or lay down on the sandbag and look up at the drawing. *A bar will open from 17:00 daily with Singapore sling being served ! 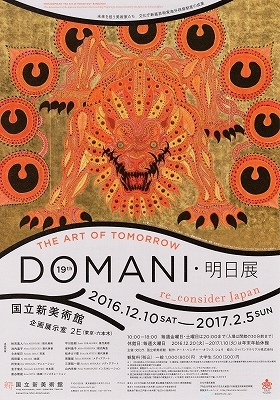 as well as some recent works by younger generation of artists form Japan. Ο θεσμός, Πάφος 2017, Ευρωπαϊκή Πολιτιστική Πρωτεύουσα με χαρά ανακοινώνει την έκθεση της Ιαπωνέζας καλλιτέχνη Terue Yamauchi When the Solid Begins Turning Fluid στην γκαλερί Αποθήκες στην Γεροσκήπου. Την έκθεση θα προσφωνήσει ο κ. Masuo Nishibayashi, έντιμος Πρέσβης της Πρεσβείας της Ιαπωνίας στην Ελλάδα και θα εγκαινιάσει ο κ. Μιχάλης Παυλίδης, έντιμος Δήμαρχος Γεροσκήπου. Επιμελήτρια της έκθεσης είναι η Chiaki Kamikawa και είναι η πρώτη φορά που η δουλειά της Yamauchi εκτίθεται στην Κύπρο και Νότια Ευρώπη. 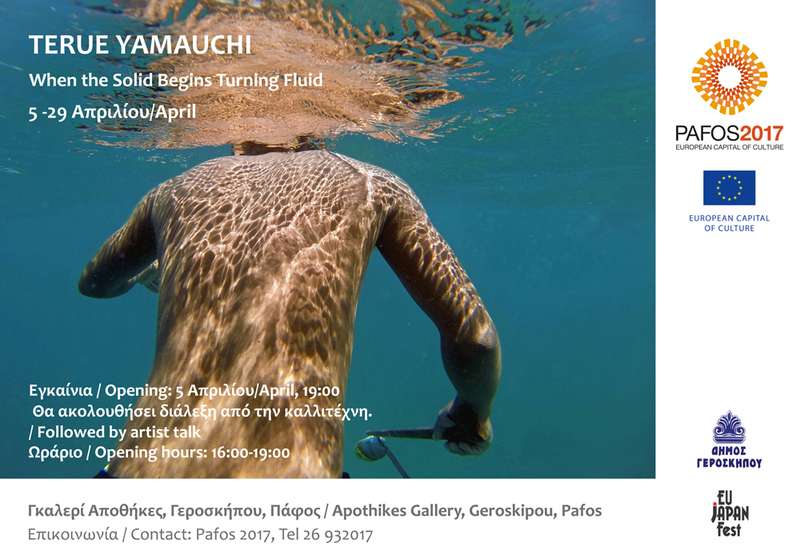 Pafos 2017 European Capital of Culture is pleased to announce the exhibition of Japanese artist Terue Yamauchi When the Solid Begins Turning Fluid at Apothikes Gallery in Geroskipou in Pafos. 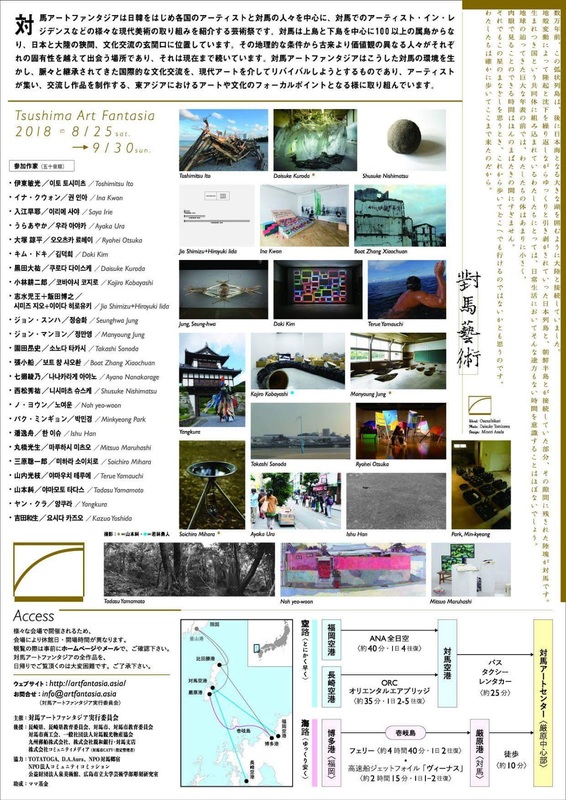 The ambassador of Japanese embassy in Greece, Mr. Masuo Nishibayashi will be present and the exhibition will be inaugurated by the Mayor of Geroskipou, Mr. Michalis Pavlides. 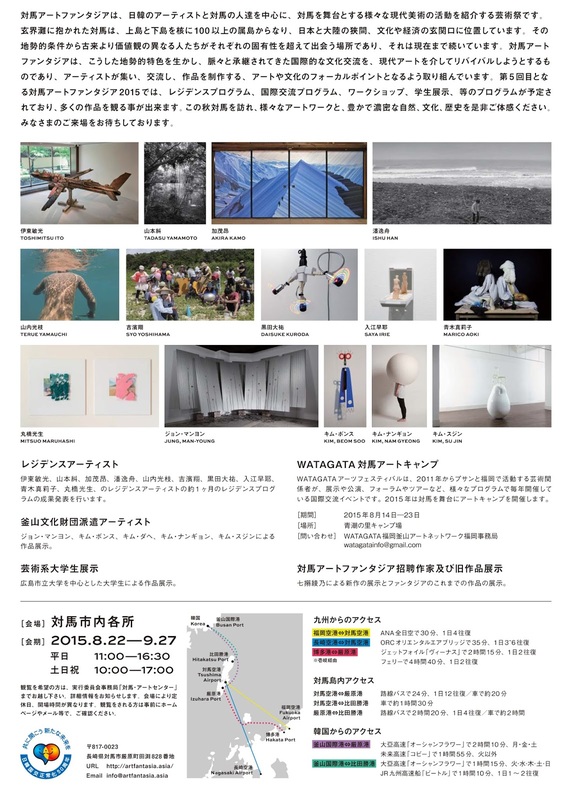 This exhibition is curated by Chiaki Kamikawa and it is the first time that the works by Yamauchi will be shown in Cyprus and Southern Europe. 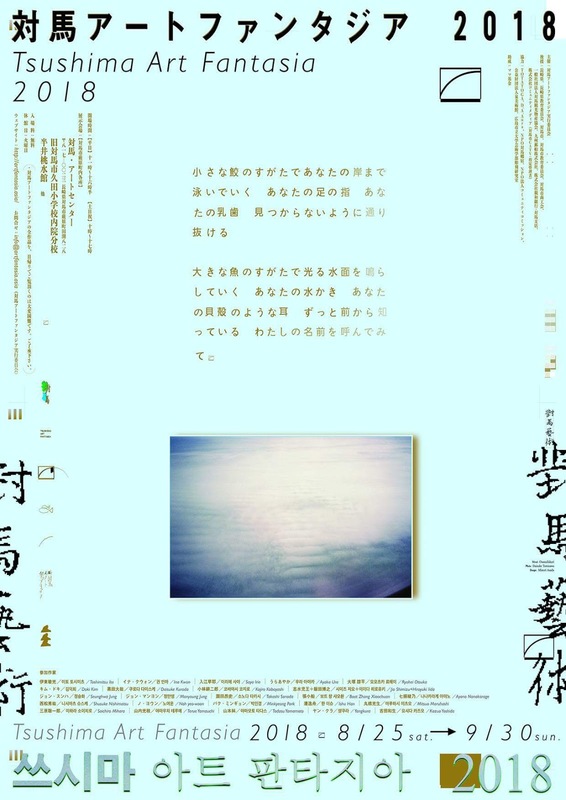 on a booklet issued by Japan Foundation Asia Center. 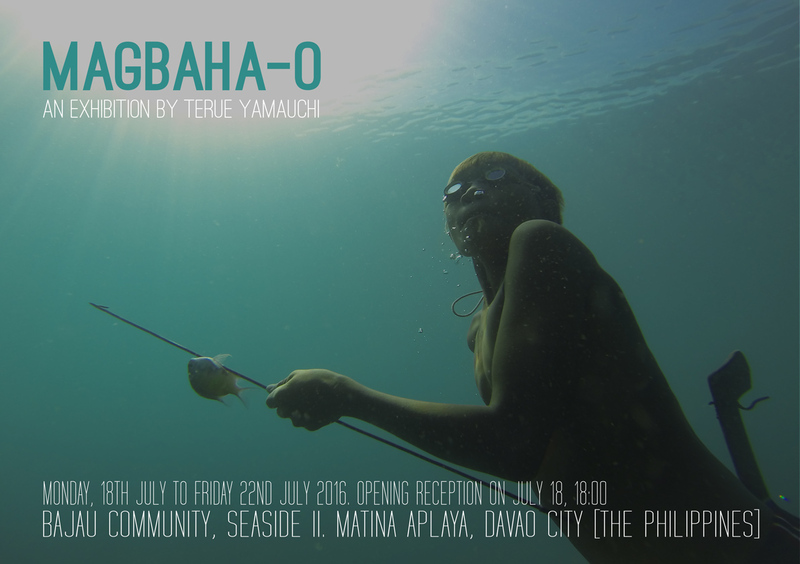 Terue Yamauchi is a Japanese artist whose recent practice has been based on her long-term research on the free-diving fishery tradition in maritime Asia and their potential connections, which so far has taken place in Japan, Korea and the Philippines.What the artist calls her ongoing ontological journey has brought her back to the Philippines for three months since April this year, for the second time as part of The Unifiedfield Nomadic Artist In Residence Program in the Philippines.The artist will talk about her practice and experience from exploring and immersing herself in the daily lives of small fishing communities in Mindanao, including a remote paradisiacal island in Surigao del Sur and two Bajau communities by the Davao Gulf.Furthermore, Yamauchi will also be sharing her ideas and thoughts on future artworks that she has been contemplating throughout the residency, in relation to her study on ancient beliefs and mythologies found in one of the deepest historical layers of the Japanese archipelago which are believed to have been brought over by maritime people from the southern seas.Terue Yamauchi lives and works in Fukuoka, Japan. She received her BA in Fine Art from the Goldsmiths College, University of London (2006). 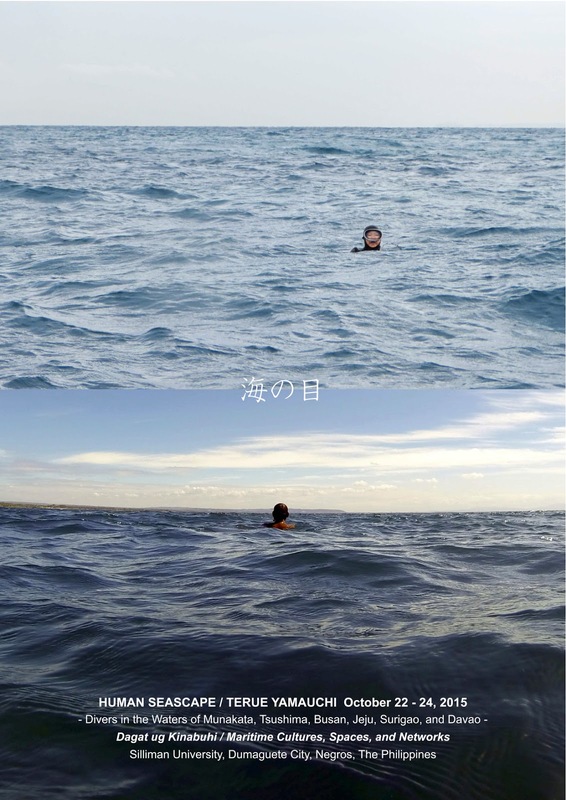 In 2013, she graduated from Jeju Hansupul Haenyeo School in Korea where she learned traditional free diving fishing for her art project. 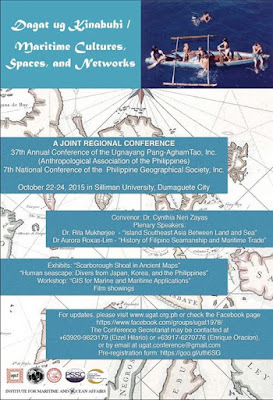 In the Philippines, she has carried two research projects on maritime culture, funded by the Agency for Cultural Affairs of Japan (2015) and 国際交流基金アジアセンター / The Japan Foundation Asia Center (2016). 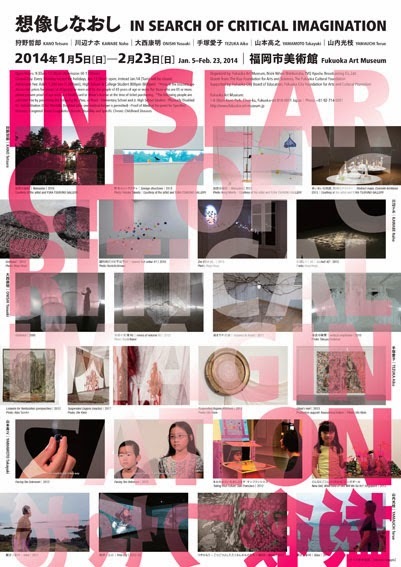 She has had two solo exhibitions here, at Siliman University (2015) and UP Diliman (2016), and just launched an exhibition at a Bajau community in Davao City. 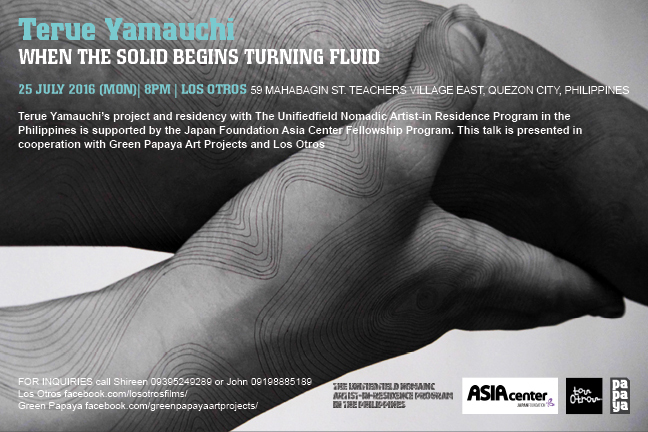 This talk is presented in cooperation with Los Otros and Green Papaya Art Projects. 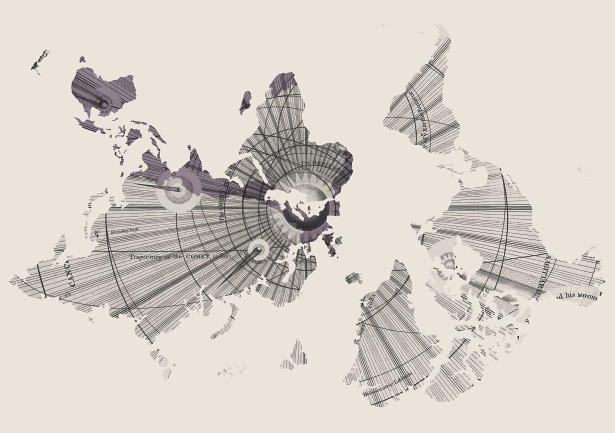 land, out of necessity and circumstance. 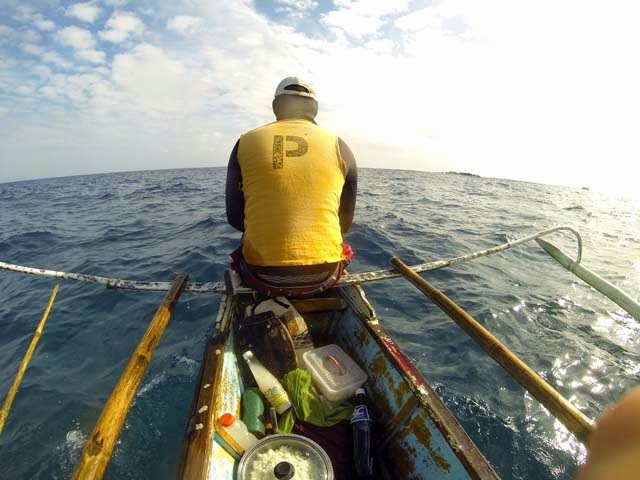 existing “organic intelligence” among the Bajau". I am returning to southern seas surrounding Mindanao to continue work on my ongoing art research project on maritime Asia and its potential linkage. 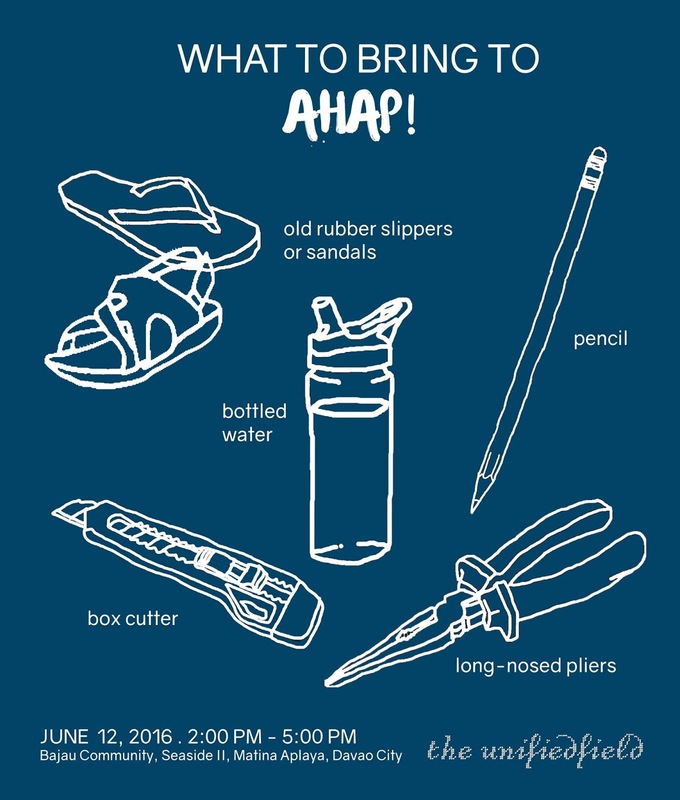 The project is funded by Japan Foundation Asia Center Fellowship and assisted by Angely Chi, co-director of The Unifiedfield Nomadic Artist-in-Residence Program in the Philippines. 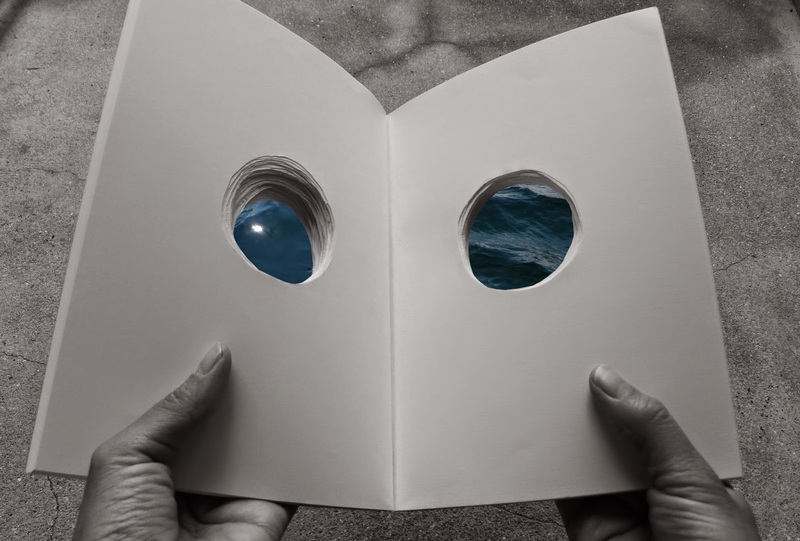 ... when you submerge yourself in water, you will be able to hear their wisdom. ---- Mawea of the Andaman Sea. 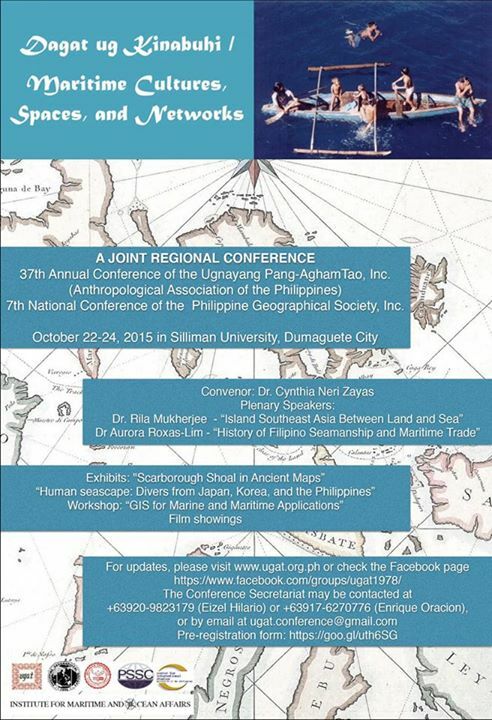 The Ugyanang Pang-Aghamtao, Inc (UGAT) and the Philippine Geographical Society (PGS) cordially invite you to participate in its JOINT REGIONAL CONFERENCE on the theme “Dagat ug Kinabuhi/Maritime Cultures, Spaces and Networks” at the Silliman University, Dumaguete City, from 22 to 24 October 2015. *Free sweets would be served at the cafe for those who bring the invitation postcard. 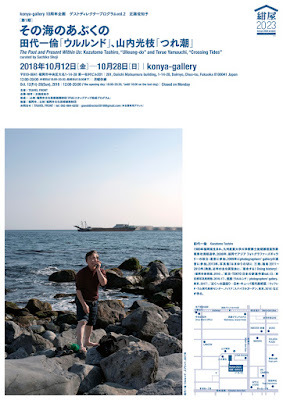 The exhibition title meaning "diary" in Korean is one of the first Korean term I learnt from the local grandmother diver I stayed with in Jeju Island as she often pointed out, by using the word "ilgi" that I was always writing diary. 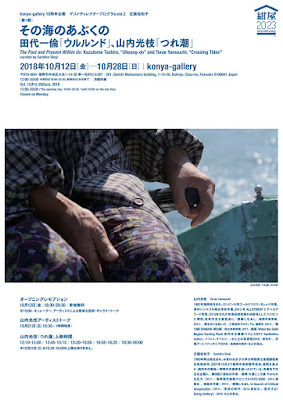 The exhibition focuses on words and moments kept in such diary over the past 4 or 5 years since encountering with the fishery tradition of Sea women, reflecting on the most recent exploration in the Southern seas. *Talk will be given in Japanese with English explanation available upon requests. 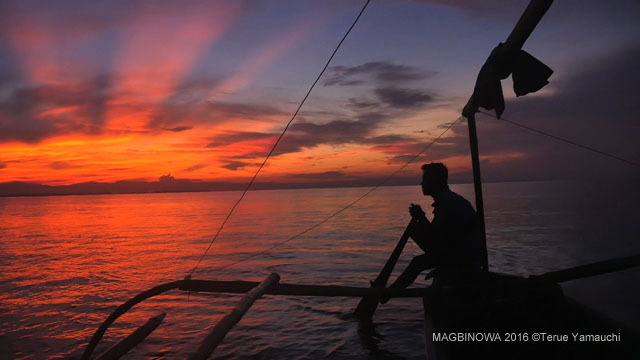 Slide show and talk on my latest exploration on maritime culture in Surigao del Sur and Mindanao in the Philippines with some fishing gears hand-made by people of the sea in this region on display. 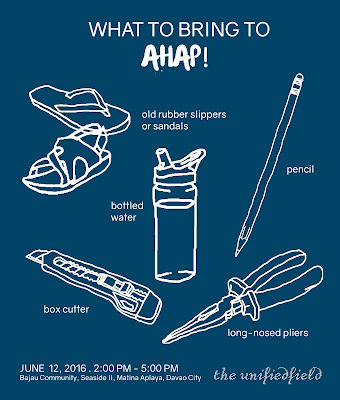 I will also share some information about Davao and Manila in terms of whats happening in their art/creative scenes where I was fortunate to be in contact with during my stay. Shinichi Hanada, the curator of the ongoing Chigusa Art Project will join me fot the second part to hold a talk session. 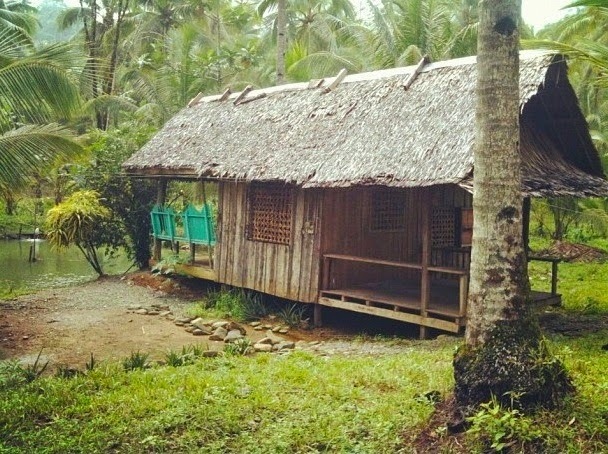 For February and March 2015, I will be exploring the life culture of small fishing communities in Mindanao, including a remote paradisiacal island in Surigao del Sur and the Bajau communities in Davao, gazing along the Kuroshio Current/Tsushima Warm Current all the way into the sea/strait where my dear mother divers are making their lives. 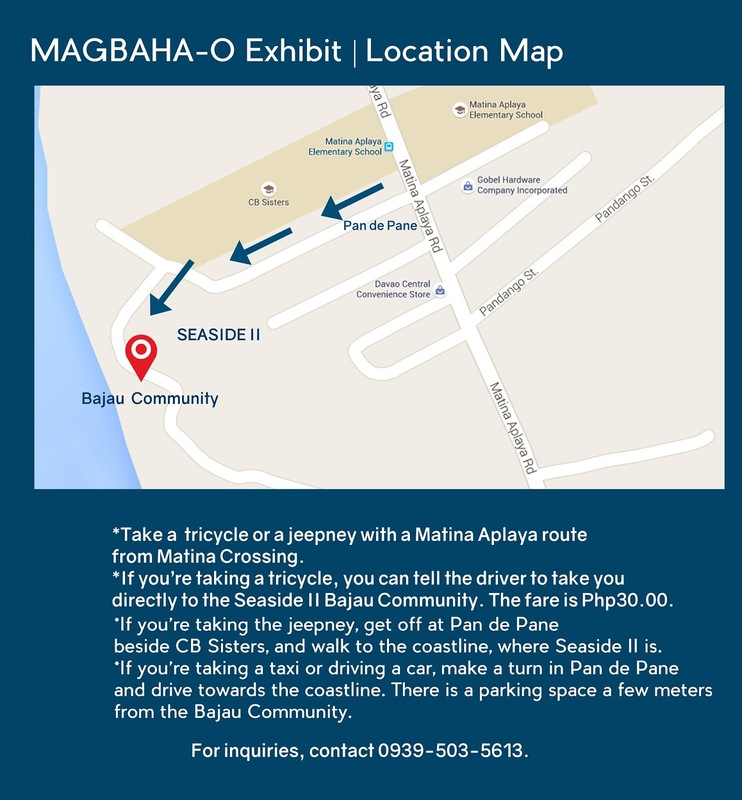 Made possible by The Unifiedfield, assisted by Ivan Zaldarriaga and Angely Chi, with the support of "Overseas Study Program for Artists" the Agency for Cultural Affairs of Japan and our local partners the Barangay Matina Aplaya LGU and the Badjao Association of Matina Aplaya. 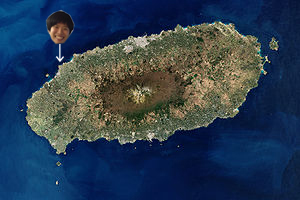 In 2013, as a way to pursuit my exploration, I attended a traditional diving school in Jeju Island while living with a local grandmother diver. 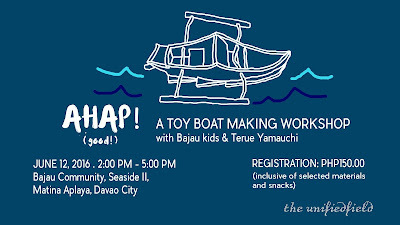 There, I came across an essay by Professor Cynthia Neri Zayas, a maritime anthropologist at University of the Philippines, entitled “Ama (women divers) culture as a relic linking maritime Philippine culture.” Her inspiring and imaginative essay linking contemporary Philippines’ Bajau and Visayan fisheries with traditional culture of the free divers in North Pacific has greatly encouraged me to expand my focal point of the fishery tradition into something being part of much wider current of maritime human practice beyond the sea surrounding Japan and Korea, and has inspired me to envision a grand seascape, an imaginative trail of journey that ancestors of these divers may had traveled all the way from the South-western sea/Pacific. I am greatly interested in visiting some of those regions and to work toward new phase of my project exploring worldviews and contemporary human experience pursuit from the seas. As I am not a researcher, I do not intend to carry out a research in an academic manner, but to physically be present in a space and time where everyday of people living by small-scale fishery takes place, observe carefully with my own eyes, record/document with various medium (video, sound, photography, drawing, writing etc) and when possible, gradually to have personal contact with them, meanwhile experiment ways of expressing and conveying visions, thoughts or ideas I may be inspired of. And I believe that The Unifiedfield residency program would be a great opportunity for me to do so in the middle of inspiring natural and cultural environment’. 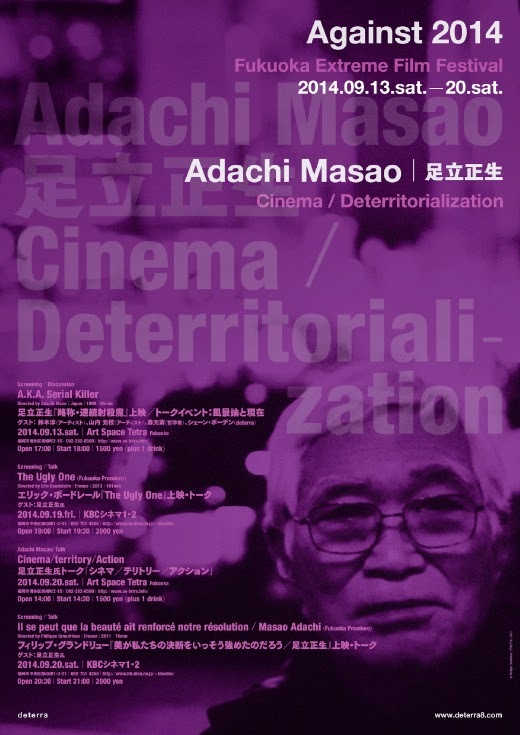 How does the landscape theory as cinematically realised in Adachi Masao’s 1969 experimental documentary on the life of Nagayama Norio apply to contemporary cinema, art and society?Two artists, theorist and curator will share their interpretations. I have invited Prof. Ishihara, the director of Sea-Folk Museum in Toba as a guest speaker for my Artist Talk. I intend to open up the process of my ongoing project as well as to talk about my work through being questioned by Prof. Ishihara with his point of view which has been developed by his life time dedication to the life culture of sea and human being. 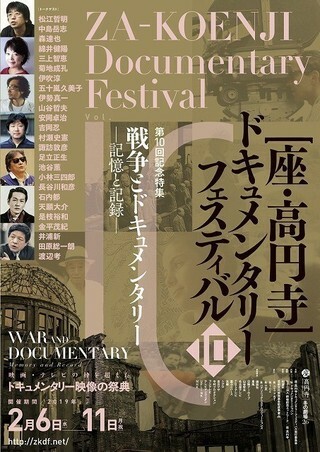 This is the story of Terue Yamauchi who Film Diaries encountered at Hansupul Haenyeo School in Jejudo. 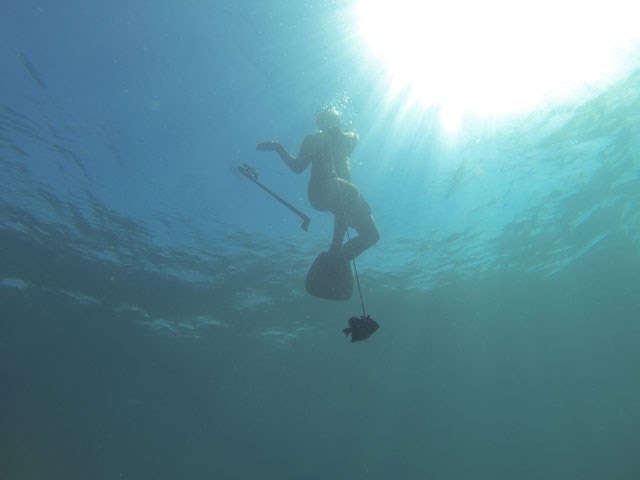 Defining 'Haenyeo' (women divers) as the 'living heritage,' she immerses herself in the life of Haenyeo to understand and experience their culture. 필름 다이어리가 제주도 한수풀 해녀학교에서 만난 테루에 야마우치씨의 이야기입니다. 해녀를 살아있는 문화유산이라 표현하는 그녀는 해녀들의 문화를 경험하고 더 깊이 이해하기 위해, 그들의 삶에 자신을 담그고 몰두하고 있습니다. 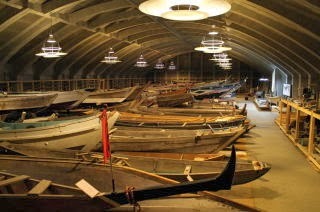 The program revolves around series of events throughout the period. 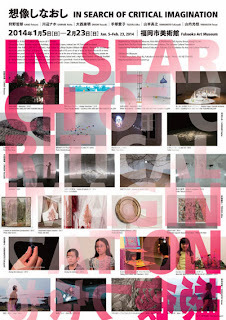 for Landings curated by Vivian Ziherl and Natasha Ginwala. 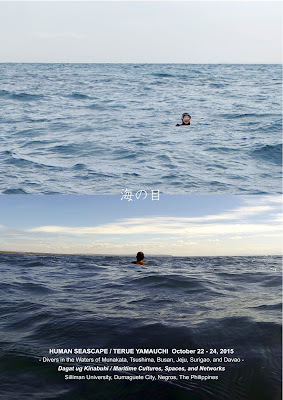 for about three months between May and August 2013.
sea women of the strait. 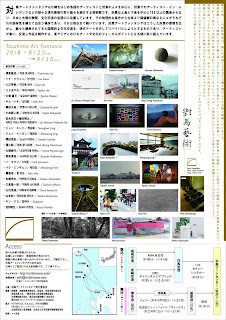 the work MURUTE first shown in 2011 at Fukuoka Asian Art Museum. presenting the latest work " First Cry" from the ongoing project.